Occupational asthma: Workers who have pre-existing asthma may find it aggravated, and others may develop it due to exposure to harmful substances they breathe in. The worker’s lungs may become sensitive with time, and a situation may arise when even a small exposure to an allergen can trigger an attack. The worker may experience symptoms such as coughing, shortness of breath, wheezing, and asthma attacks. Chronic obstructive pulmonary disease (COPD): It is a progressive disease in which the airways become inflamed and the air sacs become less elastic. This causes difficulty breathing and shortness of breath. The person may also experience a chronic cough, wheezing and may produce a lot of mucus. Unfortunately, there is no cure for COPD. Silicosis: This is an illness caused when a worker repeatedly breathes in silica. Silica particles can penetrate the lungs and cause lung inflammation and scarring. Silicosis is an irreversible illness and workers who develop this disease experience symptoms such as a chronic cough, shortness of breath, chest pain and even respiratory failure. It is a debilitating type of illness and can cause early death. 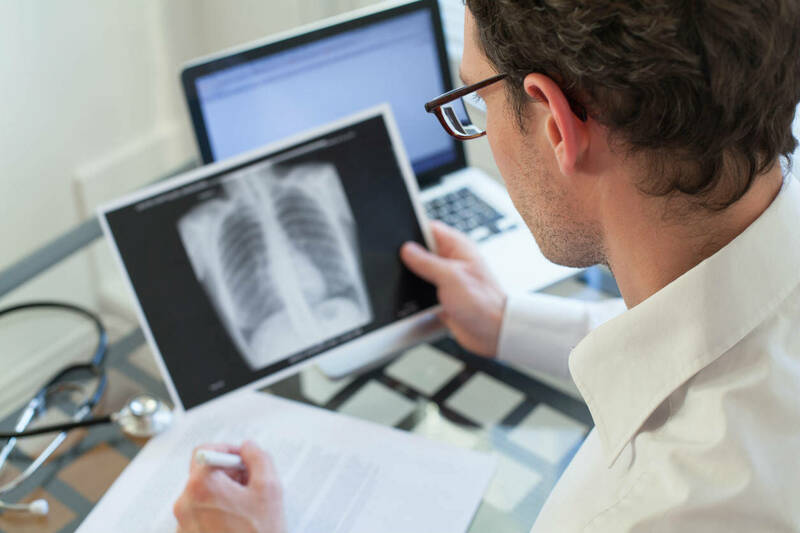 Asbestos-related diseases: Prolonged and repeated exposure to asbestos can cause mesothelioma, a type of cancer that affects the lining of the lungs and lower digestive tract. It is similar to lung cancer and is almost always fatal. The worker could also suffer from asbestosis, a debilitating condition marked by scarring of the lungs. It causes pleural thickening, which involved thickening and swelling of the lining of the lungs, causing shortness of breath. If you have developed an occupational illness while performing your duties as a construction worker, it is likely that you are faced with huge medical bills and you have to take time off work for treatment and recovery. Workers compensation should generally cover all your medical expenses and a part of wage loss as long as you can prove that your injury or illness is work-related. Contact a competent St. Louis workers comp lawyer to learn more about your rights.